Rapid growth — especially in e-commerce — can often be a double-edged sword. On the one hand, selling more product means more money in your pocket or more dollars invested back into your business. On the other hand, quick success often forces online business owners to make important decisions regarding the nuts and bolts of their business, namely identifying ways to streamline inventory and operations. It’s likely that you started with a no-frills, out-of-the-box order management system (OMS). Heck, you may not have an OMS at all. Instead, you manually fill orders as they come in. To be fair, such a scenario is a common occurrence … and probably a smart choice for online business owners who are just starting out. Do you maintain your current setup or invest in a more sophisticated system capable of quickly growing right alongside your business? To any business owner with ambitions of scaling quickly, this decision may not seem like a decision at all. However, for some, the idea of migrating to another system is often met with skepticism or a bit of trepidation. Thankfully, it doesn’t need to be that scary. In fact, an OMS can significantly improve your business operations. We’ve put together a list of the most useful features to look for when considering an OMS. It goes without saying that each business is different; your needs may be different than the rest. If you reach a certain scale, a bespoke setup may ultimately be your best bet. Nevertheless, here is a list of common features to look for in an OMS, particularly if you’ve reached the point in your business where automation is key. Exclusive Bonus: Download the FREE Cheat Sheet and start automating your e-commerce order management process! Keeping your storefront accurately stocked is a nightmare for an e-commerce business who isn’t organized or doesn’t have the right tools to monitor stock levels in real time. Compromised stock management can quickly snowball into bigger issues, namely failings in order fulfillment. You don’t need me to tell you that such a scenario can be incredibly stressful for an e-commerce business owner. Thankfully, automatic inventory updates work to ensure a customer cannot purchase an item that isn’t in stock. Each time an order is made or a dispatch request is received, the system updates current inventory levels to ensure real-time accuracy. This type of functionality becomes even more important if you sell products across multiple channels, or you maintain multiple inventory locations. For example, if you have inventory in multiple locations (warehouse or any other place), you’ll want to make sure that counts are updated in real time. Depending on the rules you set, an OMS can automatically update and check current inventory levels before a purchase then route that order to the correct place for processing. When you’re operating your business with accurate inventory counts, you’re also able to automate other tasks that would otherwise be handled manually. Most OMS can automatically create new purchase orders based on inventory counts at any given time. These systems will even post those orders directly to suppliers, ensuring that you aren’t left telling a customer that the item he or she wants to purchase is temporarily out of stock. More importantly for you, it saves precious time. Managing inventory levels might be a fairly straightforward process for you at this point in your business. However, if you’re suddenly overwhelmed with orders or your business scales as you expect, you simply cannot afford to take any chances. 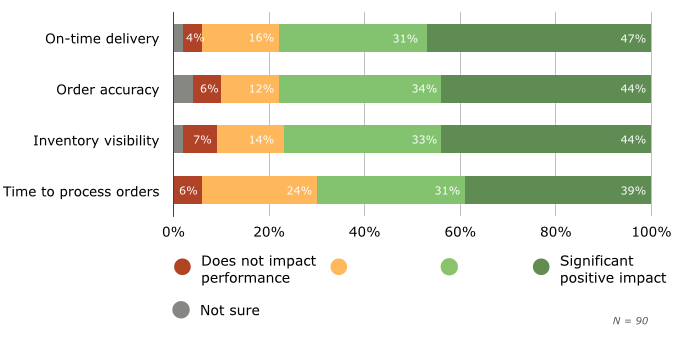 Another area where a bit of automation can make a big impact is in dealing with returns. There are a couple of scenarios where a bit of automation can make a big impact for a growing storefront. Let’s examine one such scenario in greater detail. For example, consider a scenario in which a significant number of customers all return the same product purchased from your online store. Unless you were intimately familiar with the numbers or reports, it’s easy to miss the red flags. In all likelihood, you’ll continue to accept returns without seeing the warning signs. A more sophisticated system acts as a gatekeeper of sorts. A gatekeeper in this scenario might automatically make this particular product unavailable for purchase, citing a higher than average return rate. Flagging and acting on such intelligence automatically enables you to get ahead of potential customer support issues you may have otherwise missed. Shipping faster, cheaper and more reliably is a never-ending quest for most online business owners. It’s easy to understand why. Sixty-six percent of online shoppers have decided NOT to buy an item because of high shipping costs. A customer places an order, and your OMS goes to work to fulfill that order. On the backend, an OMS can not only verify the appropriate items are shipped as scheduled, but it can check shipping rates across carriers to maximize your savings. Additionally, many OMS programs include shipping services which can significantly reduce your stress levels. As you know, shipping can quickly become a massive headache for business owners. OMS programs that come integrated with shipping services out of the box can significantly increase your margins, eliminate stress and go a long way to keeping your customers content and happy. As order volume increases, a useful automation feature such as this one can boost your profit margins time and time again. You’ll see significant time savings as well, allowing you to spend more time on the activities that matter most to your business. 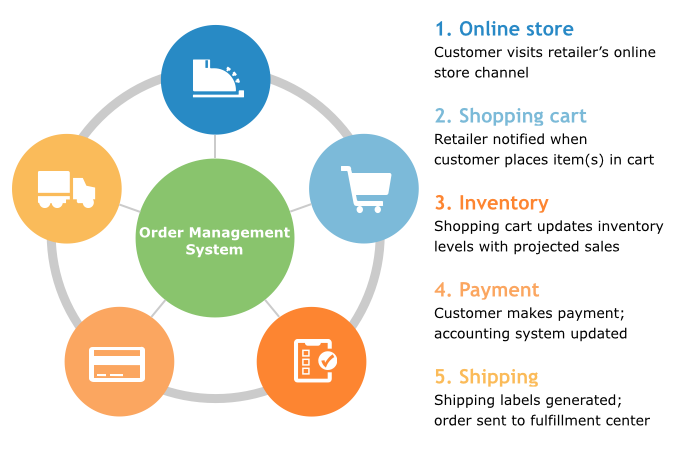 A more robust order management system can streamline nearly every aspect of your business. 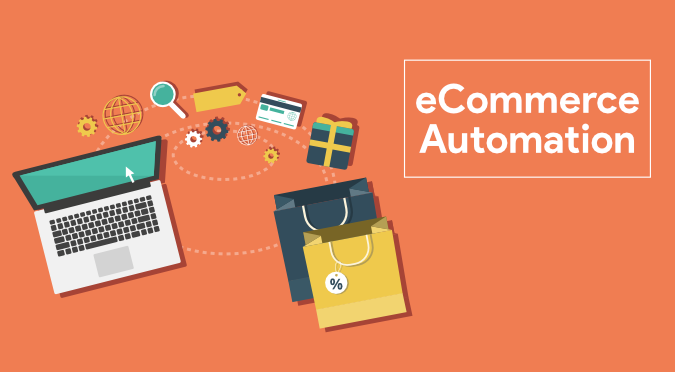 More robust automation tools boost operational efficiency and allow your e-commerce business to scale quickly. If you’ve reached the point where your order volume outpaces your system’s capabilities, it’s time to consider making a switch.